The Playmobil Ghost Pirate line is proving to be a hot and in demand series in this popular brand. Stores are selling out of most of the items in the set, and that Ghost Pirate ship is fetching quite a premium on line! 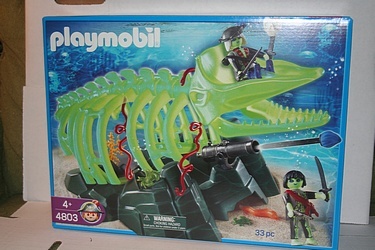 Here is the Ghost Pirate set with the Whale Skeleton - impressive, and glow in the dark!